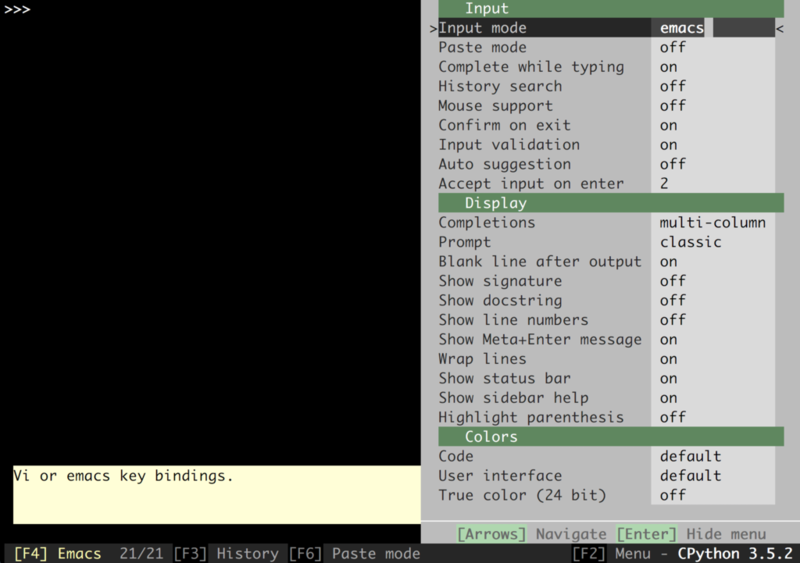 --vi                         : Use Vi keybindings instead of Emacs bindings. --config-dir=<directory>     : Pass config directory. By default '~/.ptpython/'. -i, --interactive=<filename> : Start interactive shell after executing this file.